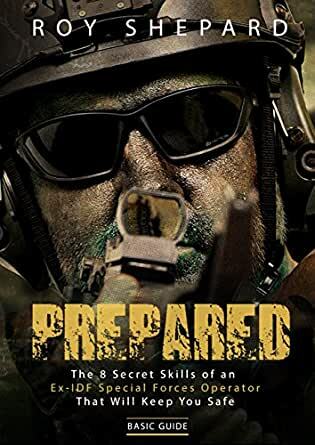 I look forward to seeing you as part of our community at Prepper Legend and hope you enjoy this book at least as much as I enjoyed writing it. And above all else stay safe! 4.0 out of 5 starsi have already recommended it. This overall a good read. It did not get as in depth as I had hoped on a lot of things. It did give me some real points to consider for my survival plans though. It also comes with a bunch of videos for the exercises and self defense and stuff. I only got to look at a couple of them so far but this " value added" little tidbit appeals to me greatly. I have already recommended it to friend. This book gives you tips that others do not and they come from someone that has used these skills in real life. He even gives you more tips and tricks and I found them very helpful. You can become overwhelmed with the different information out there and he helps you get clarity on things you are confused about. Read this book not just once over and over until the information is embedded into your brain and you can recall it when necessary. Practice all the tips and tricks. This book is a great summary of the most essential skills I'll ever need for survival. Being an Ex-IDF veteran myself, I can say for sure that this is a great summary and upgrade of all the techniques and then some. Excellent work on making it so clear and simple, I'd recommend it to anyone who wants to start getting ready for any situation. First half of the book was very interesting the last half was an exercise book. Read the first half then go out and exercise and you get the same understanding. Job well done! Roy instructs preparedness and self reliance from the perspective of a professional operator. Plenty of good practical advice for handling a variety of situations.